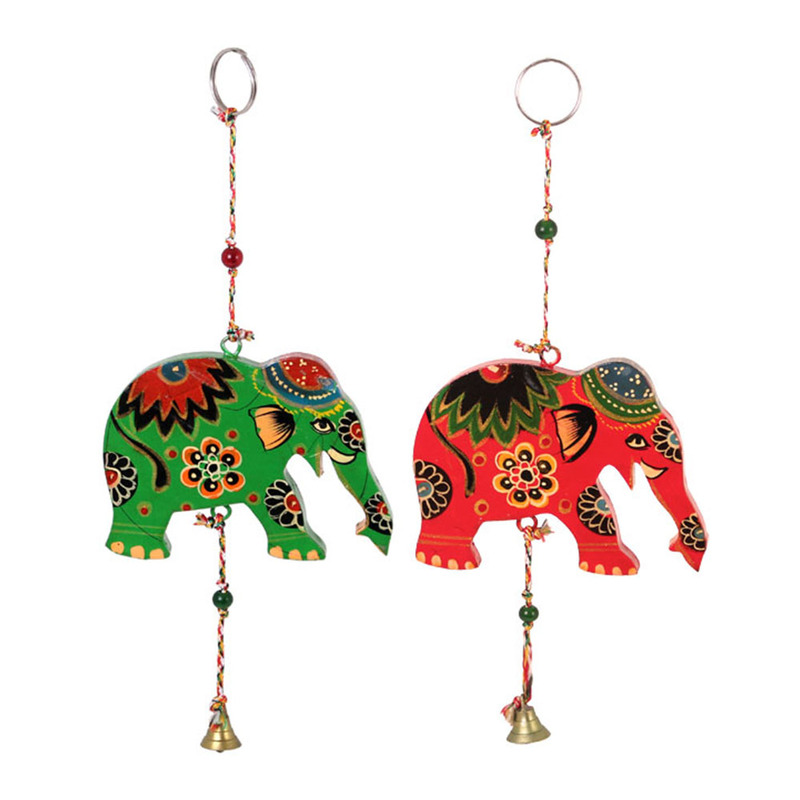 A beautiful green Indian Elephant wind Chime with a Bell. The wind chime has a beautiful wooden hanging elephant with a dangling bell. This colourful piece adds a touch of the East to your home.